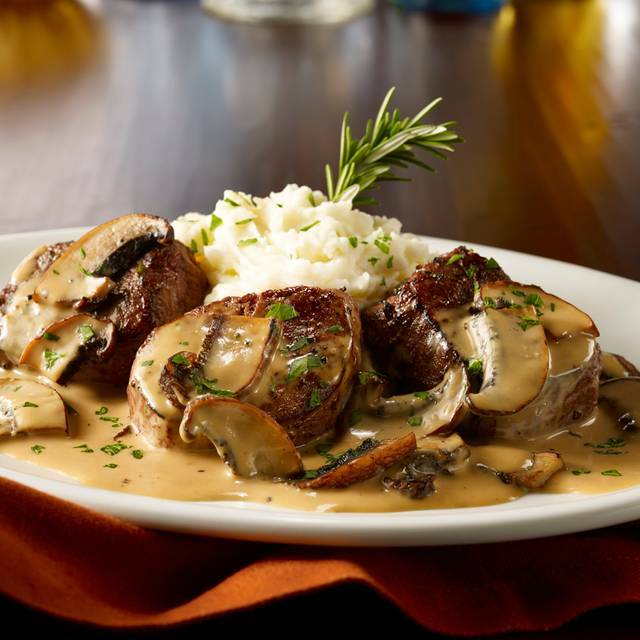 You must make reservations at least 5 minutes in advance of the time at Maggiano's - Roosevelt Field Mall. 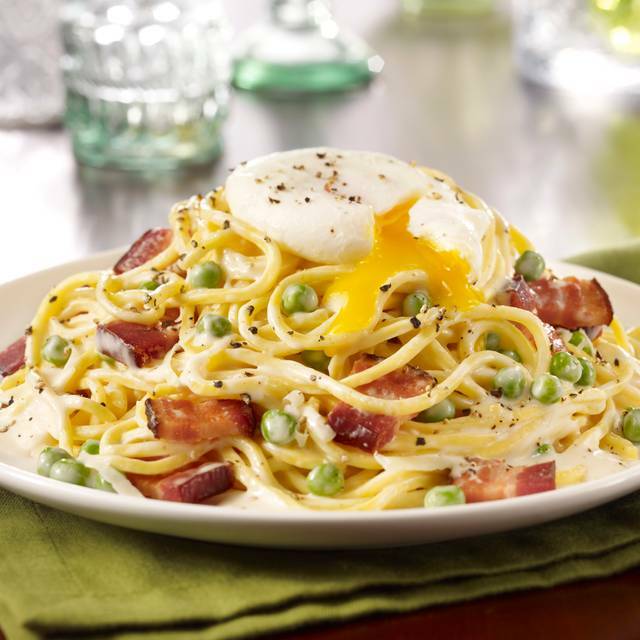 Maggiano's At Roosevelt Field is Serving Up Classic Italian Cuisine With An American Twist. Let our family take care of yours. 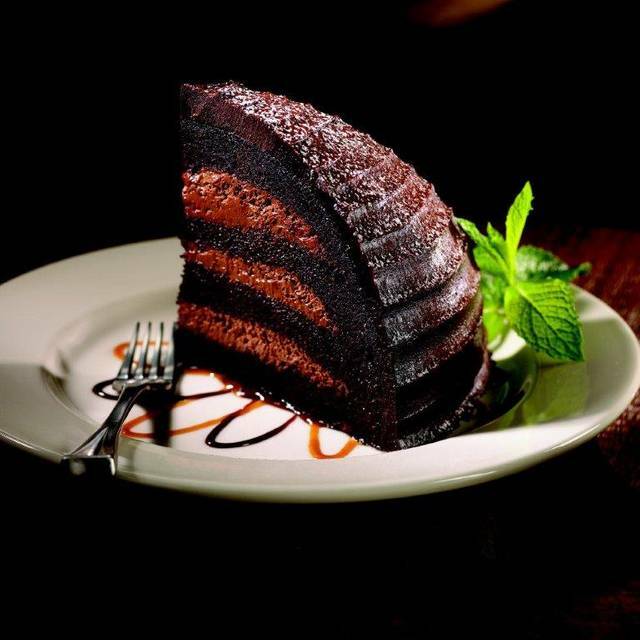 Maggiano's Little Italy would love to host you for any occasion. From date night to wedding reception, our fresh-made meals will satisfy your family - big or small. Good food, server was very informative on menu and drink options, he was also very attentive and friendly. The only down side is the drinks weren’t great. Every drink I ordered it felt like it was mixed with soda which is gross, the sangria tasted like soda, the Long Island ice tea tasted like soda. I guess that’s what they use to dilute the liquor. I would definitely come back here though the food is definitely worth the money. I guess next time I won’t be ordering drinks I’ll just stick to wine as that can’t be diluted with soda. The Easter Sunday menu was a great value. There was a brunch or dinner option. Both options under $28 per person. Plenty of good food, plenty of "to go" boxes (love that). Our server was Excellent! Give that woman a raise, heck promote her to customer service training manager. I mean it, our server was personable and professional. Easter dinner was well-priced and super-abundant. We had a great server and we enjoyed everything at Maggiano’s! We love this restaurant and usually never have a negative thing to say. 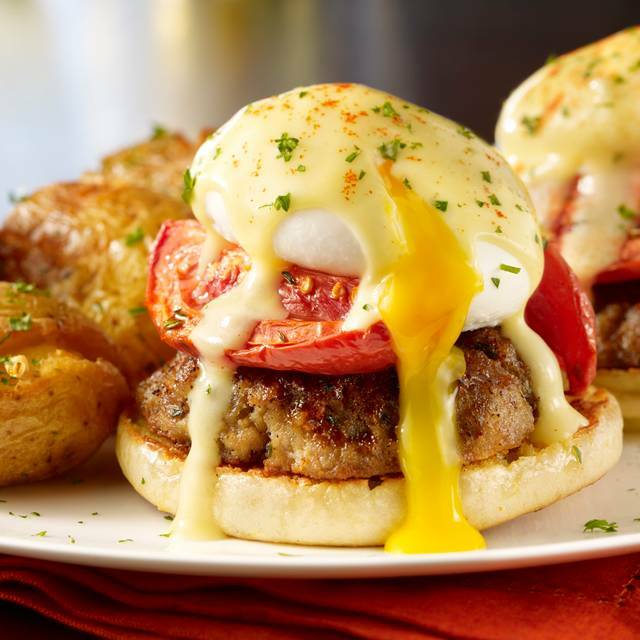 Our last visit was Easter Brunch, the restaurant was full and our waiter was very busy so while we were disappointed in the service, we were very understanding. We asked for more bread, another salad and another plate of our appetizer, we never received any of the items and he forgot our drink refills three times but he made up for it when we mistakingly ordered one dish thinking it was another and he had the chef make the dish we actually wanted which wasn’t even on the brunch menu. While the service was poor, the food was the usual, very good. After speaking with the manager, things were settled. I will not let this visit deter me from going again. Sheldon was our server and he was great! Water was never refilled; no small forks for mussels; entree served before we finished our starters. Starters of mussels and salad plentiful, bread tasty, eggplant parm just okay, pasta with chicken good but very little chicken. Interesting that you get a pasta for tomorrow when you order pasta for your meal. Wine good, but pricey; you do have a choice of 6 or 9 ounces. Bill for two including wine, starter and entree for each was $100. The portions are big, the food is always great. Never had a bad meal. I love this place. We go often. Food and Sangria are delicious. Service was excellent. Server was knowledgeable and courteous. She recommended the fried zucchini which was so delicious. Our meals and drinks were very good. 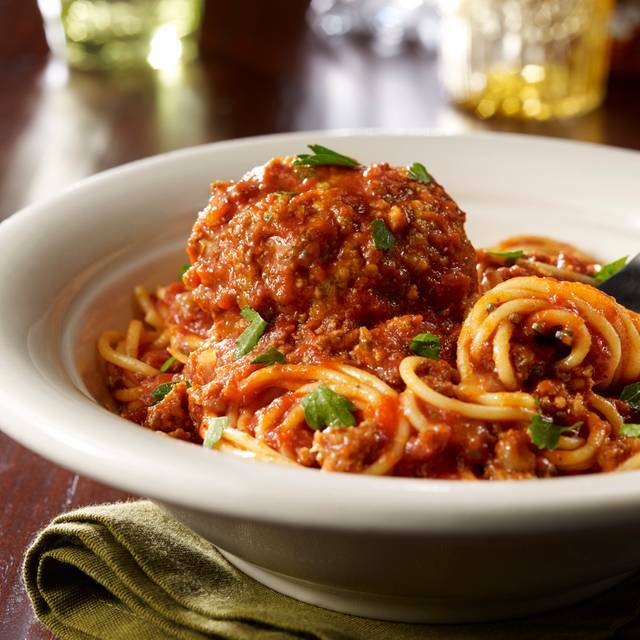 I look forward to my next meal at Maggiano’s. Our server was EXCELLENT. Food was great. Would return again. Good for affordable birthday celebrations. 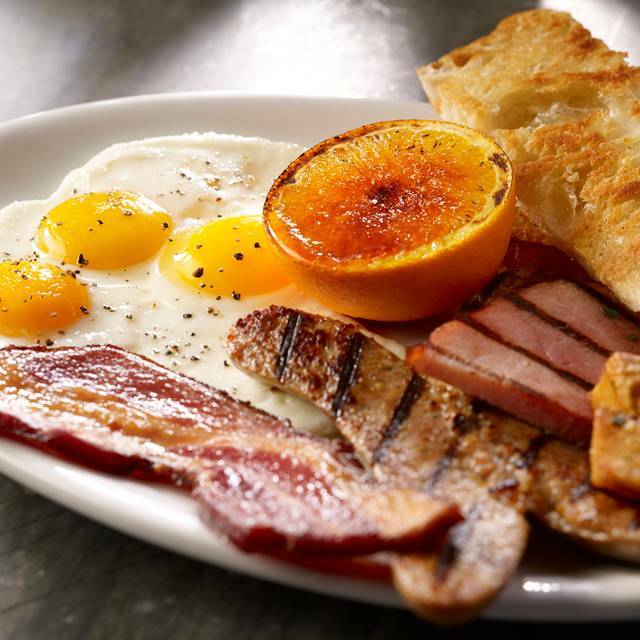 The food is always great and the service is very welcoming and accommodating. consistently good and service was excellent. 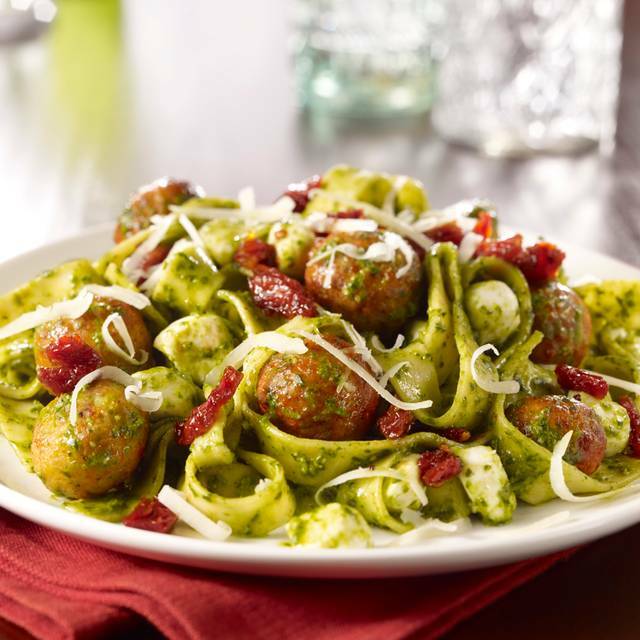 We always have to remind ourselves that this restaurant serves Italian food family-style, which means huge portions. We ordered 2 entrees and a couple of appetizers and we were stuffed. Waiter Kola was very friendly, knowledgeable and efficient. Food was great and ambiance nice. Got meals to take home for next day! Were able to linger and chat and didn’t feel rushed. Great dinner out. As usual, from hostess to server to food EVERYTHING was excellent! The staff was great .we had everything we asked for and more . The third birthday we celebrated with you and jam sure many more to come. Awesome as usual. Delivery of food needs to be addressed and improved. The delivery people often bring the wrong dish to the wrong table and it wasn’t the first time either. We dine here often. That’s the only blemish in the dining experience. Our waiter was amazing. Brought out the kids meals when we had salad without asking to rush them. It was a really enjoyable experience. Made a reservation and we were seated quickly. Service and food were excellent. Gluten sensitivity addressed with chef. Desserts were scrumptious. I love this place. Food was great. Our waiter kept forgetting things because he didn’t write it down. It was quite annoying. At least he was very nice. Food was good but servicr needed some work. The host sat us at a table that had food on the seat. When i asked for something to clean it up they gave me a wet napkin. It should of been wipen n dried off. Also, I saw the host picking his nose then serving the food. I had it brought back n asked for something else and to have someone else handle my food. I was at the Tampa location for my first experience. The restaurant was beautiful, service was excellent and the waiter was extra attentive, explaining the menu and some of the perks of the restaurant in depth. After my wonderful experience there, I brought some friends out to the Roosevelt Field Mall location. The restaurant is definitely a little more run down and not as pretty as the Tampa location. They were fairly quiet for dinner time. Our waitress was very nice and did ask if it was our first time there and if anyone had any allergies to be aware of or special dietary needs, which I thought was great. Everyone except me said it was their first time, So I was expecting her to give the thorough explanation like I was given while at the Tampa location, but nothing, so I ended up giving the run down to my 4 friends. First, in general, I think its ridiculous how they hide the pasta menu in the center of the menu, that no one even knows is there (one thing that was explained to me in Tampa, but was not in NY). Also, I think one of the perks of going to this restaurant is when you get a pasta meal, you get to order another whole pasta meal to take home for free. (Another thing that wasn’t brought up in NY) Of course, once explained to my friends, everyone wanted pasta to bring home to someone in their family. Their food is delicious, both locations did not disappoint with that. My friends really enjoyed the food and being able to bring home extra food for their family (as well as our leftovers, bc the portion sizes don’t disappoint). I think this location could just put a little more effort into customer service, as well as keeping the restaurant looking new and up to date. After all, its NY and there is a lot of competition. But the food is great and I definitely would go back! The food was fantastic! We started with the Sausage Flatbread ($12.95) and it was delicious! THIN, THIN crust, fresh, melted cheese and nice scatterings of sweet sausage. Plenty for two. My son had the Chef's special of Sausage Arrabbiata (spicy) over pasta and that came with a "Take-Home" pasta. He ordered Gnocchi and Italian Sausage and enjoyed it the next day. I ordered the Fontina Chicken, which was two fried chix breasts, stuffed with a mushroom paste and Fontina cheese, covered in a red tomato sauce. I had misgivings when it was put in front of me, but I have to say the chicken was sooo good. The red sauce, I feared, was the sweetest, most delicious ever. An excellent dish. Service was wonderful until our server was given a table of about 20 people. He did not check in with us once they were seated. We waited an inexcusably long time for the check (20 minutes) even though I said I got a call from home and had to leave right away. We waited ten more minutes after that....and the restaurant was quiet. We will return for the fabulous food and I will put the questionable service that night behind us! The food was flavorful, plating was beautiful, Waiter was knowledgeable ,efficient, courteous. I am definitely looking forward to coming back to try things I haven't tasted yet. It was perfect as always!! My husband loved his birthday dinner as well as everyone else that attended. He also enjoyed his slice of birthday cake. We love your restaurant. Had a wonderful time celebrating my daughters birthday with friends and family. The staff at Maggiano’s was friendly and very accommodating! Yes and try and get Dominique I was there twice last month she serve me both times my better half always ask for her. 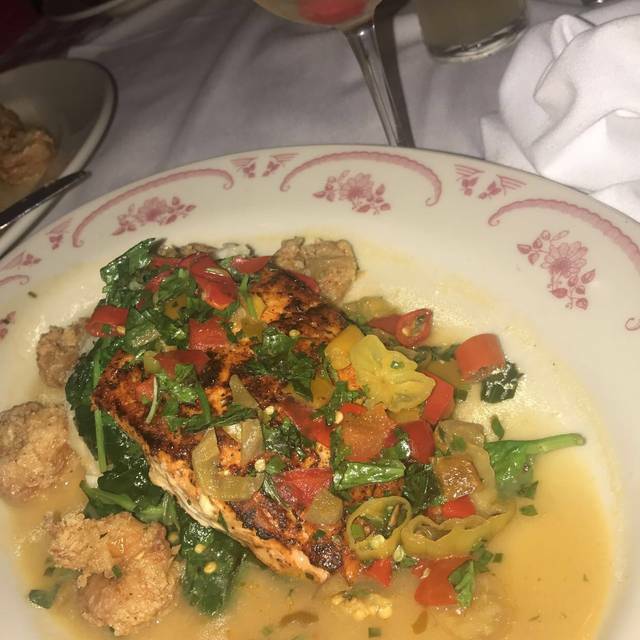 Having gone to continue to try out the new restaurants around Roosevelt Field Mall, we selected Maggiano's. We were not overly impressed with the entire experience. Food was okay, likely much better for family style and a large group (Menu buried inside of the larger menu). Nothing to write home about, and not a "We have to go back to" place. We had a very good waiter who knew the menu, and the chef came to assure us about his knowledge of a shellfish allergy. Tiramisu was better than average. We had a great night! The food was delicious and our server was so friendly and informative. 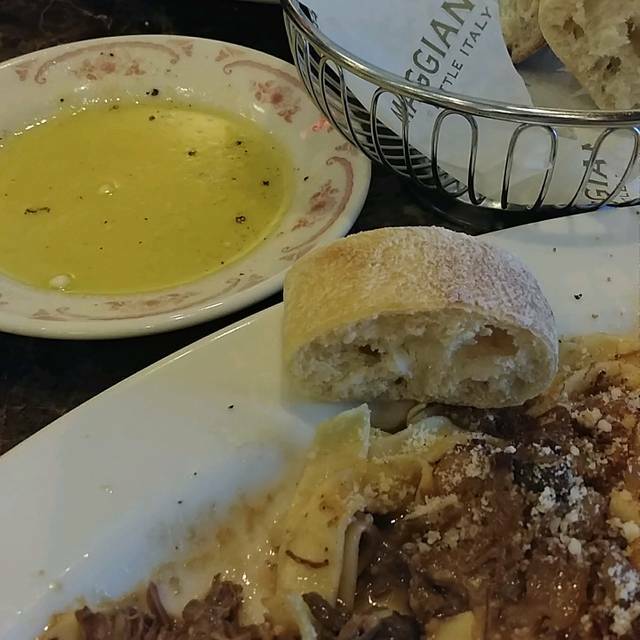 It was our first time to dine at the Maggiano's and we were happy and satisfied. olives. Steak was so delicious. We will come back again. Good is always fantastic. Service was great this time, excellent experience. We continue to return and would definitely recommend. As has been the unfortunate norm on our last few visits, the food was great but the service terrible. Spoke with the manager before we left was very apologetic, and offered gift cards to make up of their errors. Food is great but they really need to work on staff training! This was a family gathering to celebrate mom’s 85th birthday.. everyone thought the food and service provided was excellent. Everyone liked the decor and ambiance of the restaurant. We always enjoy going to Maggiano's the staff is wonderful, food is delicious, and the value is excellent. We love the Marco's Meal for Two !! !